Hapag-Lloyd Cruises is offering two expedition trips through Alaska this summer and next by the Hanseatic and the Bremen. The 184-guest Hanseatic sets sail through the Inside Passage, July 14 to 20, from Seward, Alaska, to Vancouver, Canada. 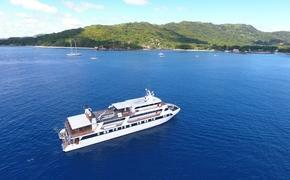 Rates start at $8,060 per person. The Bremen set sails for Alaska in June 2013, with a shorter trip through the Inside Passage, highlighting more of the Alaskan islands along the route. The cruise operates from June 19 to July 7, 2013, from Nome, Alaska, to Vancouver, Canada. Rates start at $8,790 per person, double occupancy for an outside cabin.